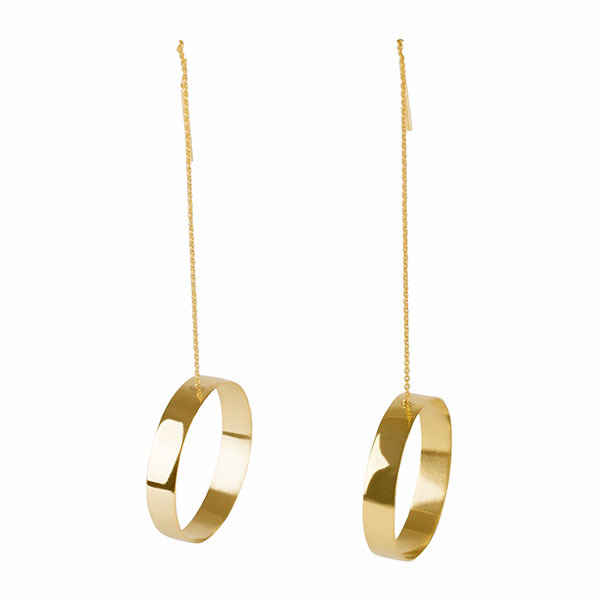 Handcrafted chain earrings, consisting of a chain part & a solid round one, made of rectangular wire. Please Note: All pieces are custom made to order & require 5-7 business days for production. note Please Note: All pieces are custom made to order & require 5-7 business days for production.